On February 24, 2016, the Ohio Supreme Court ruled liquidated damage provisions are enforceable under public improvement construction contracts in Boone Coleman Construction, Inc. v. The Village of Piketon. Prior to this case, the high court had only considered liquidated damage provisions in private contracts. Under the holding of Boone Coleman, if a contractor on a public project fails to finish a project on time, the damages for such failure will be determined by the per-diem amount agreed upon at the start of the project regardless of how large the total amount becomes at the end of the day. Boone Coleman arises from a garden-variety road construction project. 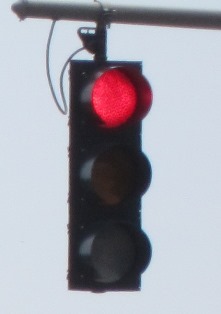 In 2007, after submitting the lowest bid, Boone Coleman Construction, Inc. was hired by the Village of Piketon to install a traffic light and make improvements to a roadway intersection. Piketon agreed to pay Boone Coleman $683,300 to complete the work and allowed 120 days to complete it. The contract expressly provided that the time for completing the work was “of the essence.” A liquidated damage provision stated Boone Coleman would pay $700 to Piketon for each day the project was not substantially competed after the project deadline. Under the original schedule, the project completion date was November 27, 2007, but Boone Coleman requested and received one extension through May 30, 2008. When Boone Coleman requested a second extension, Piketon refused. When Boone Coleman did not meet the extended date of May 30, 2008, Piketon began assessing the $700 per-diem set forth in the contract. Boone Coleman did not complete the work until July 2, 2009, 397 days after the extended deadline of May 30, 2008, and, based on the per diem, Piketon assessed a total of $277,900 in liquidated damages against Boone Coleman. Boone Coleman brought suit against Piketon alleging it failed to pay $147,477 of the contract price and seeking additional damages of $20,120 for extra work. Piketon counterclaimed for its liquidated damages and moved for summary judgment against Boone Coleman. The trial court granted Piketon’s motion and entered judgment in its favor, awarding Piketon $277,900 in liquidated damages and dismissing Boone Coleman’s claims for additional compensation. The trial court did, however, deduct the unpaid contract price of $147,477 from Piketon’s liquidated damages of $277,900. Boone Coleman appealed to the Ohio Fourth District Court of Appeals, which agreed the company was not entitled to any additional payment, but reversed the trial court’s liquidated damage award. The Appellate Court stated, “[W]hen we view the contract as a whole in its application, we conclude the amount of damages is so manifestly unreasonable and disproportionate that it is plainly unrealistic and inequitable.” Piketon then appealed to the Ohio Supreme Court. Where the parties have agreed on the amount of damages, ascertained by estimation and adjustment, and have expressed this agreement in clear and unambiguous terms, the amount so fixed should be treated as liquidated damages and not as a penalty, if the damages would be (1) uncertain as to amount and difficult of proof, and if (2) the contract as a whole is not so manifestly unconscionable, unreasonable, and disproportionate in amount as to justify the conclusion that it does not express the true intention of the parties, and if (3) the contract is consistent with the conclusion that it was the intention of the parties that damages in the amount stated should follow the breach thereof. However, even though the Appellate Court set forth the appropriate test, the high court found reversal was warranted because the Appellate Court misapplied the second prong by viewing the contract “in its application,” which the Supreme Court found to be a “distorted analysis of [its] precedent.” Specifically, the high court took issue with the Appellate Court’s singular focus on the aggregate amount of the penalty even though it acknowledged the liquidated damage provision reflected the parties’ intentions. The Supreme Court stated, "the appellate court’s myopic focus on the reasonableness of the total amount of liquidated damages in application, rather than on the reasonableness of the per diem amount in the contract terms, was not proper. The correct analysis looks at whether it was conscionable to assess $700 per day in liquidated damages for each day that the contract was not completed rather than looking at the aggregate amount of the damages awarded." By the appellate court’s reasoning, the same provision might have been enforceable if Boone Coleman's delay had been briefer, e.g., two days, two weeks, or even two months, but not so long as to accrue the significant damages that arose here. It is a perverse rule of law to hold that a court can relieve a breaching party of the consequences it agreed to by refusing to enforce a per diem liquidated-damages provision solely because the breach was an egregious one. We decline to adopt that rationale and vacate the judgment of the appellate court in this cause. Based on the foregoing analysis, the Supreme Court reversed the Appellate Court’s determination. For Ohio contractors working on public projects, the lesson is clear: Liquidated damages clauses will be enforced so long as the per diem itself is not unreasonable. Contractors should make sure before entering into such contracts that the time for substantial completion is realistic and that any per diem charge is reasonable. After the contractor enters into the contract, it should expect to be fully bound to both clauses. Should you have any questions concerning liquidated damage provisions, please contact Mr. Harper.